Every detail from Gabriella and Eric’s pink and purple wedding is sure to sweep you off your feet. 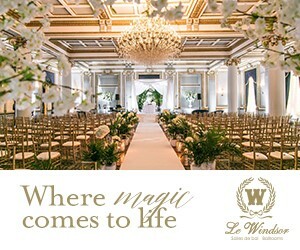 Held inside an opulent ballroom, the day began with a dreamy ceremony that featured flower petals along the aisle, rows of white pedestals topped with blooms and a grand draped chuppah lined with wisteria. When the room was transformed for the reception, guests were welcomed by an enchanted receiving table fixed with a purple wisteria tree in the middle. 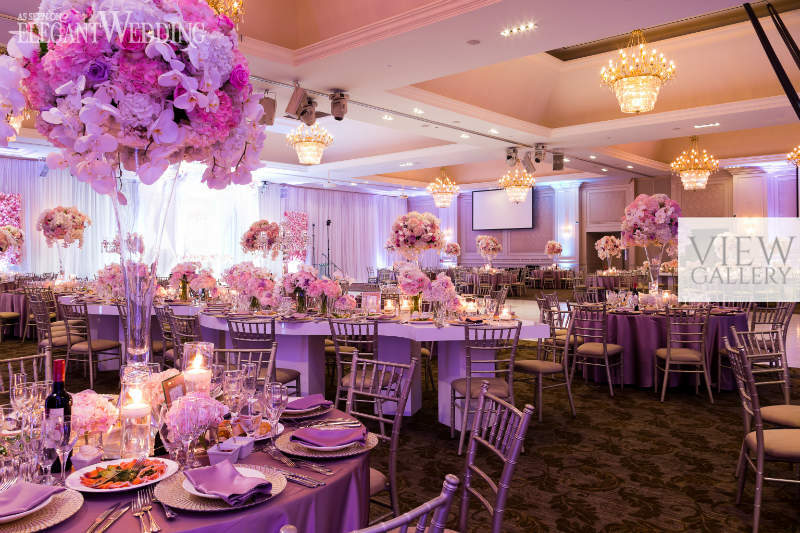 A variation of tall and short centrepieces featuring pink and purple flowers were used throughout, meanwhile serpentine tables flanked the monogrammed dance floor. When the bride and groom shared their first dance amongst a layer of fog, the room truly turned into a world of fantasy.